The Menger slices from Day 169 and Day 170 each divided the cube into two identical pieces. Today we make a a slice parallel to the Starmaker from the first day, but higher up. What will the slice look like? Don't peek until you've tried to draw it! 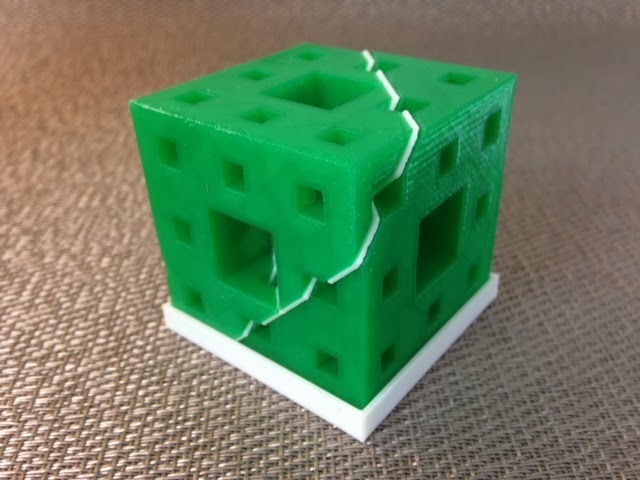 This piece is interesting because makes the largest possible hole on the inside; a triangle that goes all the way to three of the edges of the cube. 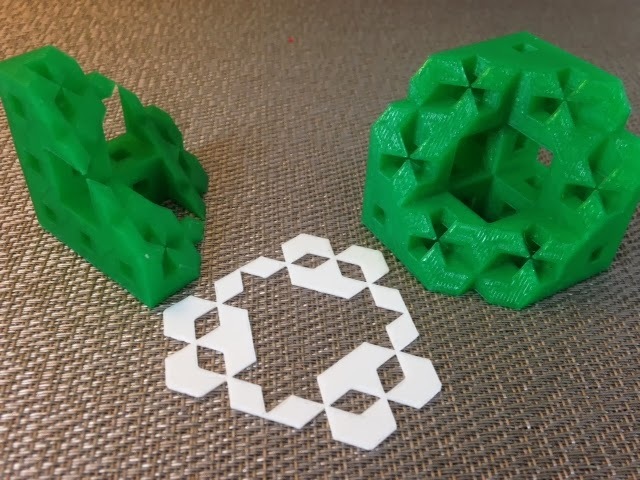 Settings: MakerWare .2mm/standard on a Replicator 2 with no support and no raft, using owens' disposable Menger-printing stand.